Global Health communication is something to invest in. 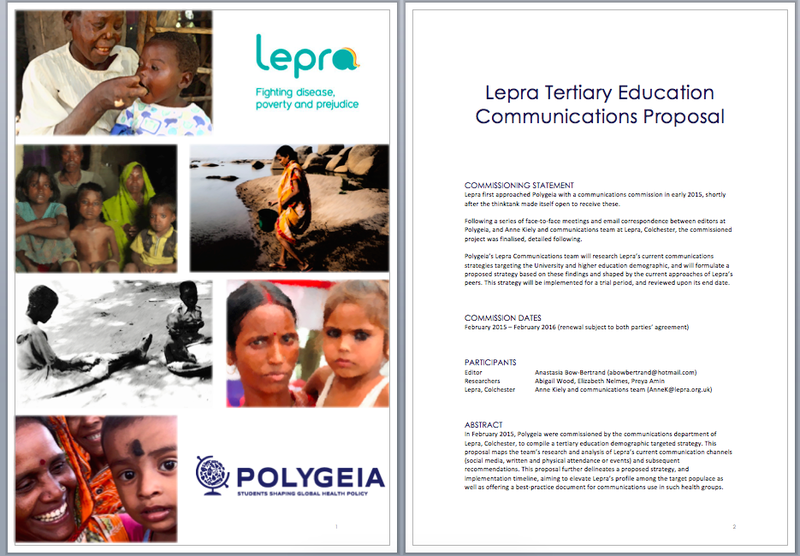 At a local level I have been involved with a leading leprosy awareness charity in the UK – Lepra – commissioning the Polygeia thinktank to devise a communications marketing strategy appropriate to engage, convey information and increase awareness of the charity’s central aims to a university demographic. 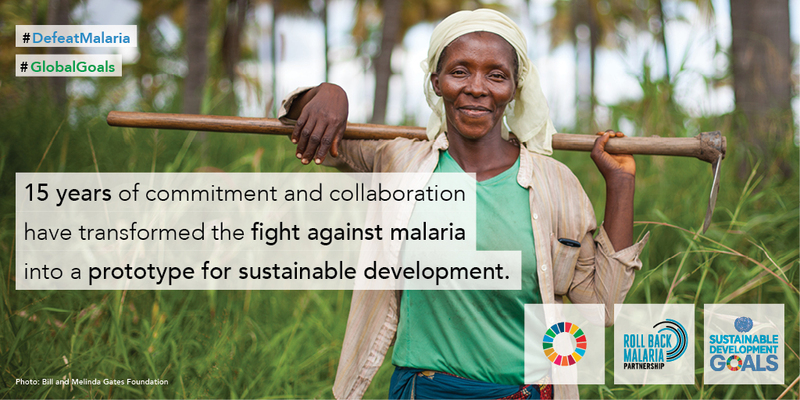 More widely, while working with the Roll Back Malaria Partnership (RBM) in Geneva this summer, my team was tasked with producing advocacy messaging packs for simultaneous publication with the Sustainable Development Goals, 2016-2030 (SDGS), highlighting their relevance to malaria (these can be accessed here). 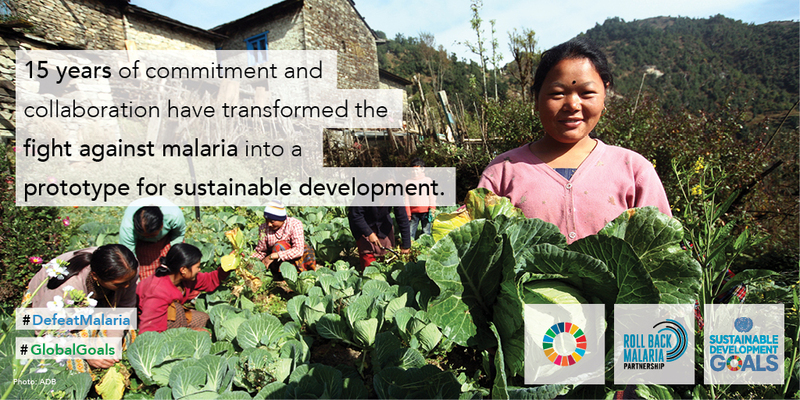 Our target audience canvassed both the Secretariat’s partners and colleagues in the field. Reproduced with permission of RBM. The collective aim of global health communications is, as the FHI Center for Global Health Communication and Marketing (CGHCM) articulates, to bring ‘about positive changes in the actions of individuals, communities, and institutions that will improve the health and well-being of vulnerable populations around the world’. To communicate is the practice of sharing, as well as encouraging the feedback loop of hearing from the initial audience. The Lepra-Polygeia commission employs this methodology. Our team initially analysed (through social media analytics) the digital and physical communications channels employed by Lepra, namely Facebook, Twitter, Instagram, YouTube and in-person workshops in junior level schools and related outreach events. Across the board, there was little evidence of targeted communication or messaging to those pursuing higher education, and no physical outreach. Over the space of six months, until World Leprosy Day 2016, Polygeia are implementing a communications strategy designed to capture this as yet untapped field of potential ambassadors, supporters and motivators across tertiary education institutions. At a most baseline level, this means identifying how these individuals hear and process information both digitally and verbally, and ensuring that we are meeting these criteria. Even before that, it is a case of ensuring that these individuals are being reached by appropriate delivery (from including appropriate handles on Twitter messaging to initiating a series of rotating Lepra-Polygeia appearances at student led careers and high-profile events). In the ‘internet age’, global health leaders are becoming increasingly aware of changing worldwide connectivity, and are driving online live-updating tools to share information risks across social media and interactive maps, as well as to disseminate educational care packs. Front pages of Lepra-Polygeia strategy commission. Reproduced with permission of A Bow-Bertrand. By comparison, the international, much more disparate targets of RBM’s SDG communications strategy similarly had to address studies of behaviour change (a theory which attempts to find a framework to structure how we experience health) and how users consume messaging. Across the board we prioritised authentic, persuasive messaging, but it became apparent that many of our target audience (withstanding those individuals in developed, ‘highly connected’ regions) could not be reached with the typical digital communications arsenal. Instead, we were required to return to the roots of communication. Stories and narration derive from an oral tradition in which information is relayed from one party to the next via voice and recollection. Radio functions along similar patterns, albeit with a more comprehensive and reliable sourcing and constructing of information and narrative pre-delivery. Radio is a key example of community-led communication strategies, and is cited as a frontline channel in the World Health Organization’s Communication for Behavioural Impact (COMBI) toolkit which advises on communication strategies (both preventive and control-centred) in an outbreak situation. COMBI also reinforces the need for trust in the source (be that the original deliverer of the message, its handler or transmitter). While multi-level methods are recommended for communications in both acute and chronic, local and global health circumstances as adopted by the Sustainable Development Goals, the crossover between reliable and panicked, rapid and rushed, valuable and scare-mongering is becoming all too present a problem in crisis situations when social media can often lead to the counter-productive spread of potentially damaging messages. Taken from COMBI. Reproduced with permission of WHO. Notwithstanding the added complexities of communicating for reduced mortality in disasters, cross-sectional strategies are key to improving healthcare in a consistent and intuitive manner. In areas of low connectivity, radio remains a pivotal tool, and in almost every country in the world, mobile health (that is to say, access to physical, mental and psychological support, information and training through a handheld device connected to a mobile provider and/or wireless internet) continues to be the focus of much marketing research. Indeed, the Roll Back Malaria advocacy messaging produced was designed to be recycled from paper pamphlets to digital tweets to a series of rollover text messages, targeting those individuals and healthcare workers that were not accessible by any other mean. And it is not just healthcare workers that must be reached. Lepra has sister branches in both Bangladesh and India, and the latter’s increased public access to the Internet will be pivotal in our drive to recruiting policy makers and communicators at a higher education level. Trends in digital growth in this country show an exponential rise in online users. Of those active, the Indian Express recently reported that the 350 million this year will be expected to reach 500 million by 2017. Of these, 314 million will be mobile internet users. Global improvements in digital literacy and effective infrastructures must collectively employ e-communications that are heard by the least accessible – both geographically (such as in developing nations and particularly rural communication ‘holes’) and individually (to the so-called complacent recipient and user of social media who requires innovative and compelling digital discoveries to respond amidst an overwhelming flood of material of all genres). Striking a balance between telling a story in a way that moves peoples and causes ripples of reflection, implementation, retelling and building comprehensive communication packages for uses globally both at peace and during conflict is a near impossible task. 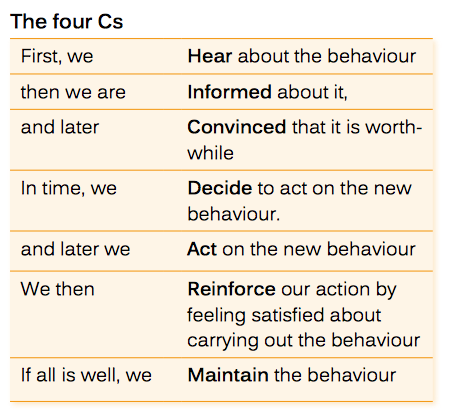 But in hearing the need to feature effective communications high on priorities in global health, the future world will be better placed to answer the question: ‘am I hearing right?’.